Professor Melody Baglione received a Ph.D. and M.S.M.E. at the University of Michigan in Ann Arbor and a B.S.M.E. at Michigan Technological University in Houghton, Michigan. She received the National Science Foundation (NSF) Graduate Research Fellowship and brings with her 7+ years of industry experience (primarily in automotive powertrain systems but also management consulting). Professor Baglione is currently developing inductive and hands-on teaching methods by integrating case studies, practical laboratories, and real-world projects into the mechanical engineering curriculum. 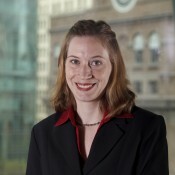 Her current projects include: a NSF-funded project to incorporate sustainability into the control systems curriculum by creating learning opportunities related to our Building Management System and heating, ventilation, and air-conditioning systems; designing interactive technologies that promote science, technology, math, and engineering to young children and those with special needs; developing vehicle system models and algorithms for optimizing powertrain configurations and control strategies; and characterizing structural dynamics properties using experimental modal analysis. Professor Baglione teaches Systems Engineering (ESC161), Feedback Control Systems (ME151), Engineering Mechanics (ESC100), Mechanical Vibrations (ME101), Advanced Mechanical Vibrations (ME401), and Acoustics, Vibration, and Noise Control (EID160). 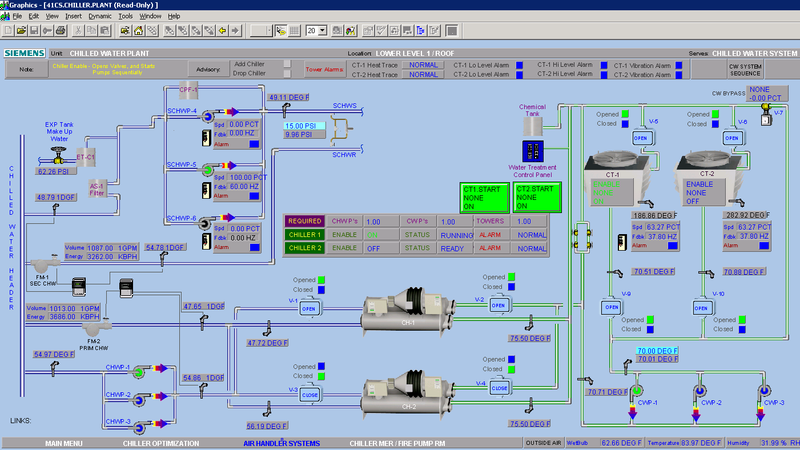 developing new process control laboratory experiments that connect traditional classroom theory to a building control systems theme. These inductive learning platforms and practical experiments are being incorporated into an ongoing redesign of the ME program that creates a more cooperative and student-centric learning environment. The project will assess student learning outcomes resulting from case-based and experiential learning approaches and disseminate new curricular materials that will be modular and adaptable to a wide range of curricula. A key outcome of this effort is the examination of the role of first-hand experiences and curricular improvements in attracting and retaining a talented, diverse student population in mechanical engineering. 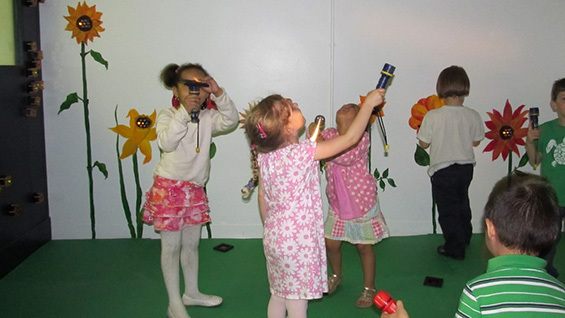 Children rearranging synchronized infrared "fireflies"
The Interactive Light Studio is an outreach program to create an inspirational play and learning space for pre-kindergarten students at the American Sign Language and English Lower School (P.S. 347). P.S. 347 is New York City’s only public school for the deaf, hard of hearing, and children of deaf adults. It integrates deaf and hearing impaired children with hearing children based on the philosophy that deaf and hearing children learn best when they are taught together. The primary motivation for this project is to inspire young children to excel in science and increase awareness of how engineering can be used to make the world a better place. The project offers undergraduate students an opportunity to improve their technical and professional skills and develop a broader appreciation of the role of science and technology in bettering society. Specific goals include designing a space for science exploration and creating a way for both deaf and hearing students to explore light and to directly and/or indirectly experience sound. A Diversity Action Grant from the American Society of Mechanical Engineers (ASME) was awarded for creating two interactive installations and activities. 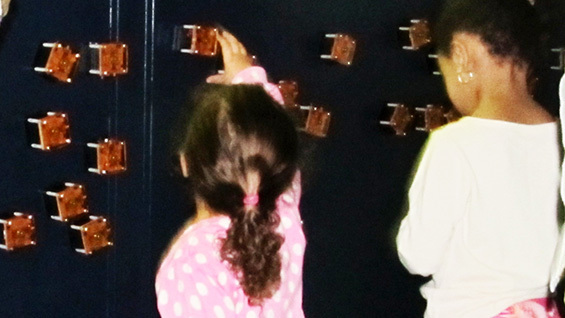 One wall consists of circuits representing fireflies that the children can move around; these electronic fireflies sense each other via infrared sensors and synchronize their flashing just as fireflies do in the Great Smokey Mountains. Another wall consists of talking flowers that transform sound to light. 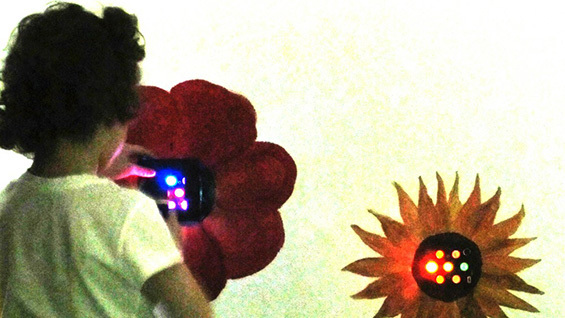 Sunflowers painted on the wall have microphones that trigger different colored lights depending on the frequencies of the sound in the room. The ILS has been featured on both WABC and NY1. Current work includes expanding the Interactive Light Studio to incorporate a digital projection system and animatronics that respond to both motion and sound. Please contact Prof. Melody Baglione at melody@cooper.edu or click here to learn more.